Saint Andrew's has an established choral tradition and the Choir sings at most of its main services. A Choral Eucharist is sung each Sunday at 10am, and Choral Evensong most Sundays apart from during July and August. Choir practice is held on Fridays at 6pm, and immediately before Sunday services at 9.30am and 5.30pm. Various settings of the Eucharist designed for congregational participation are currently used, including Taizé, the Addington (RSCM) setting and the St Margaret Eucharist composed by our Director of Music, the Revd Richard Evans. The Eucharist also includes a communion motet and sometimes commences with a choral introit. A number of choral scholarships are available each year for students. These are competitive (by audition) and commit scholars to singing twice on a Sunday during University term-time and attending all relevant rehearsals. 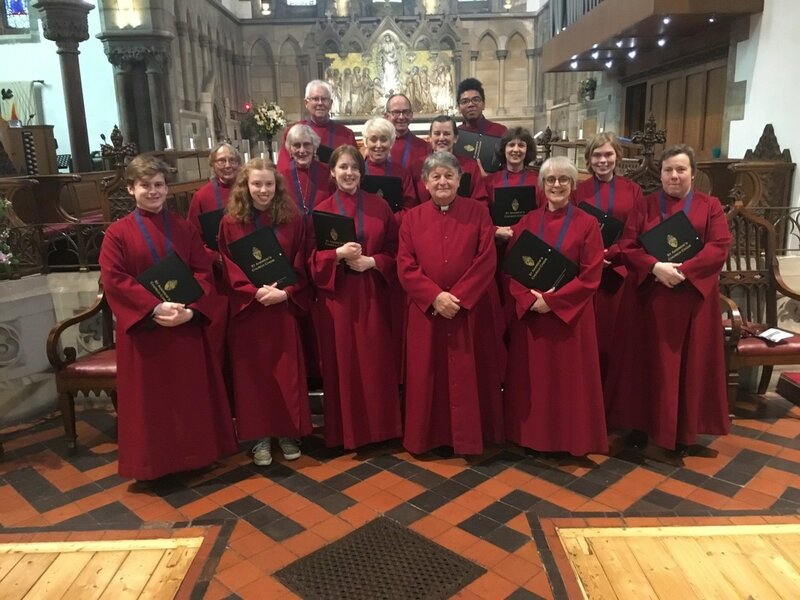 The Choir has a wide repertoire of Responses, Canticles, Psalms and Anthems from which to select for Choral Evensong. The Choir is always eager to welcome new members. Anyone wishing to join should contact the Director of Music via the Church Office or by email.